For a renowned comparative constitutional law scholar who has written or edited more than 60 works, Sujit Choudhry spends a lot of time with his boots on the ground. Choudhry has appeared before the Supreme Court of Canada three times, including for the highly publicized case of Omar Khadr, the only Canadian citizen held at Guantánamo Bay. He was part of the three-member Governing Toronto Advisory Panel that drafted a proposal leading to the restructuring of the city government. As a board member of Legal Aid Ontario, he found himself in the middle of a nightmare scenario when the organization’s defense counsel went on strike, threatening to shut down Ontario’s criminal justice system. Choudhry leaves the University of Toronto Faculty of Law, where he held the Scholl Chair, to join the NYU Law faculty this fall. He’ll teach Comparative Constitutional Law, both in the classroom and in the field, as he plans to create a center to deploy students and colleagues to post-conflict countries that are grappling with constitutional issues. He also plans to visit the Middle East to identify projects emerging out of the Arab Spring. “He brings a unique dimension to our program,” says Beller Family Professor of Business Law Kevin Davis, Choudhry’s childhood friend, as his interest in Asia and Africa complements the faculty’s strength in European constitutional law. Since then, Choudhry has focused on forging constitutions in ethnically divided societies. He brought together legal scholars and political scientists in editing one of the most important collections in the field, Constitutional Design for Divided Societies: Integration or Accommodation? (Oxford University Press, 2008). “He’s by far the best comparative constitutional scholar of his generation,” says Sanford Levinson of the University of Texas School of Law. Born in Delhi and raised in Toronto, Choudhry says his Indian immigrant parents created a home for grooming scholars. “Our house was all about intellectual stimulation. The radio was permanently tuned to CBC [Canada’s version of NPR], and we read several newspapers daily,” he recalls. Premed at McGill University, Choudhry became interested in law after a summer internship in bioethics. Attending Oxford as a Rhodes Scholar, he earned a Bachelor of Arts in Law in 1994. Two years later he earned a Bachelor of Laws from the University of Toronto. After clerking for the Supreme Court of Canada, he earned a Master of Laws at Harvard Law School in 1998. 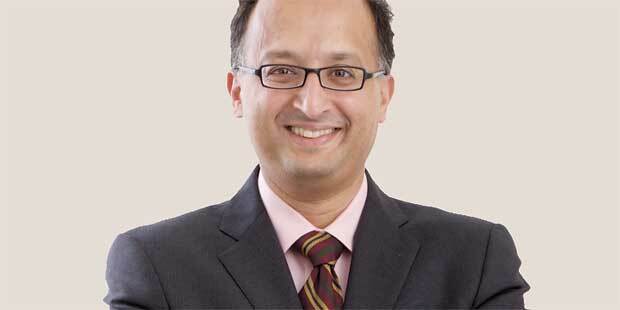 Choudhry joined the University of Toronto in 1999, receiving tenure in 2004. He received high marks for teaching. “It was hard to come out of his class without being a little more excited about constitutional law because he had such passion for it,” says former student Michael Pal (LL.M. ’10).